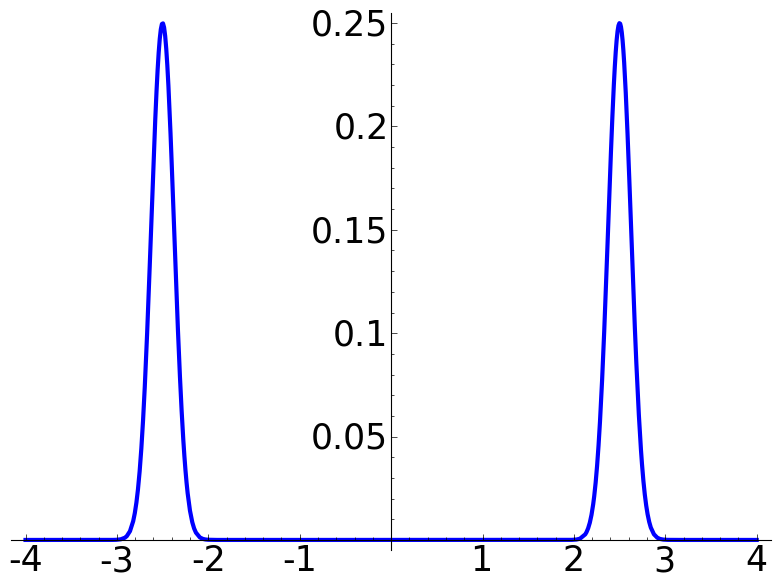 We consider a function essentially consisting in two peaks at ±5/2. 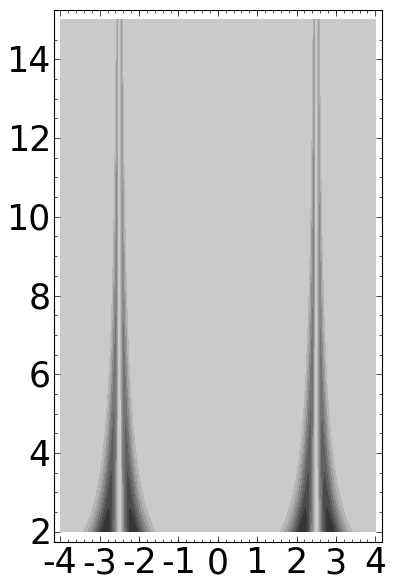 The actual formula es exp(-32*(x-5/2)^2)/4+exp(-32*(x+5/2)^2)/4. 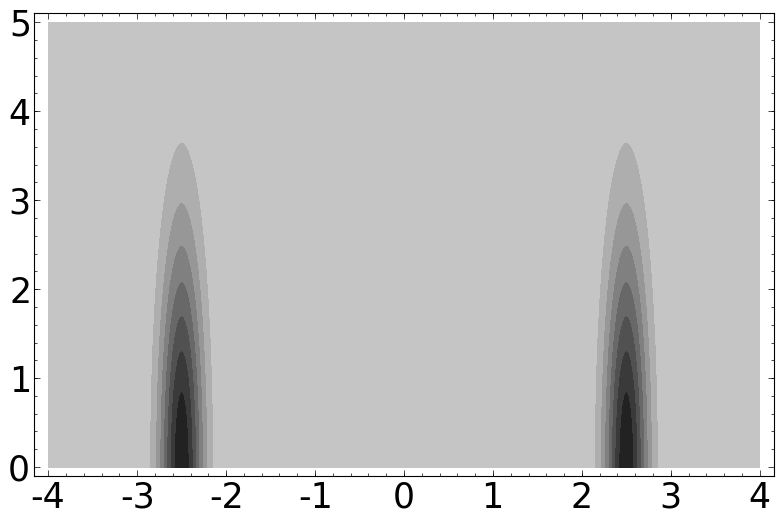 We first analyze it using a Gabor transform, a normalization of exp(-(lambda*x)^2/2). 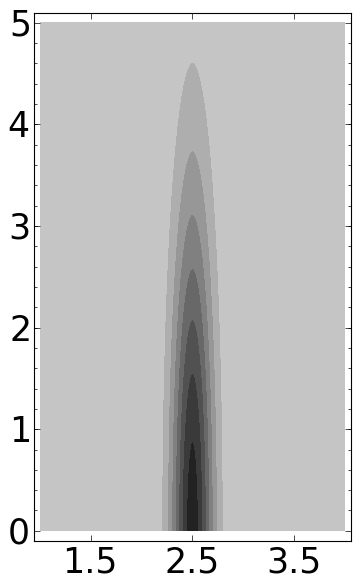 For lambda = 8 this window should be optimal in some sense because matches perfectly the details we want to analyze. 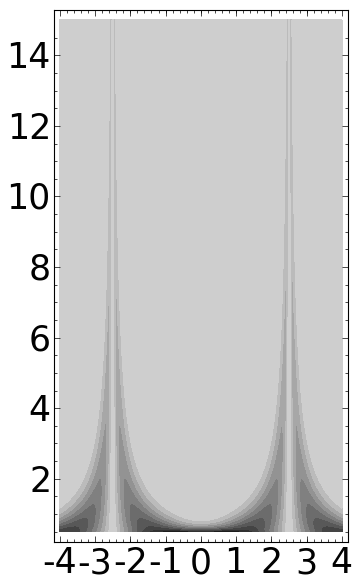 This is the contour plot in this case. 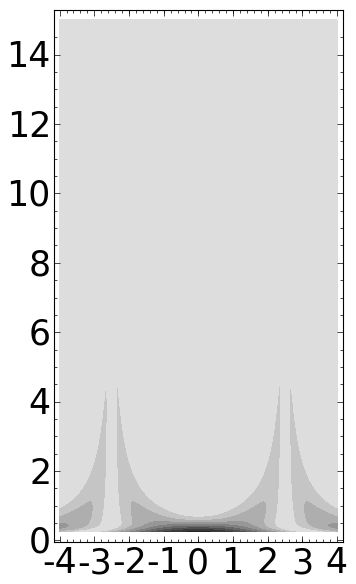 The frequencies are in the vertical axis. The code is included below. 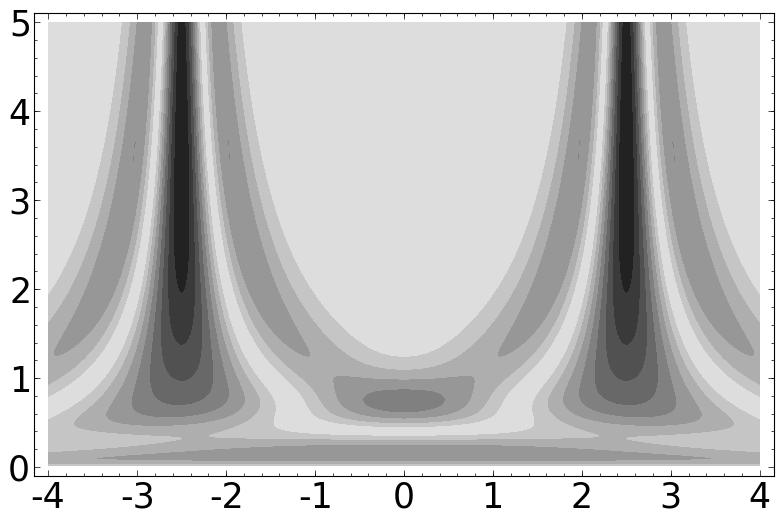 Now we consider the wavelet transform with the Mexican hat wavelet. 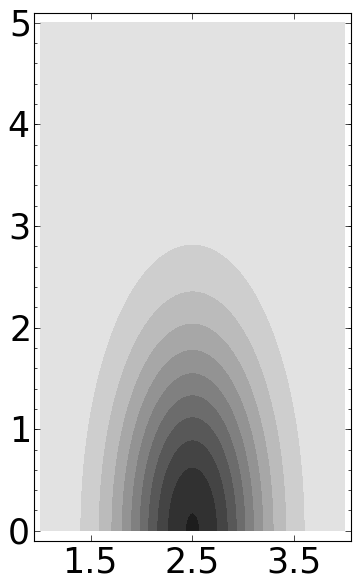 To compare the plots, we put in the inverse of the scale in the vertical axis. 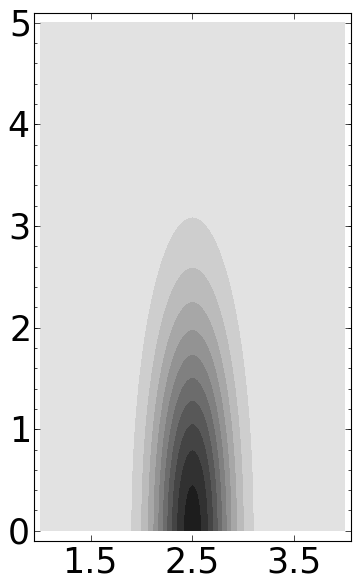 We also repeat the plot for 1/a limited to values greater than some values because the large values corresponding to 1/a-> 0 mask the rest of the values when distributing the contour levels. This gives an idea about the variation of these levels. 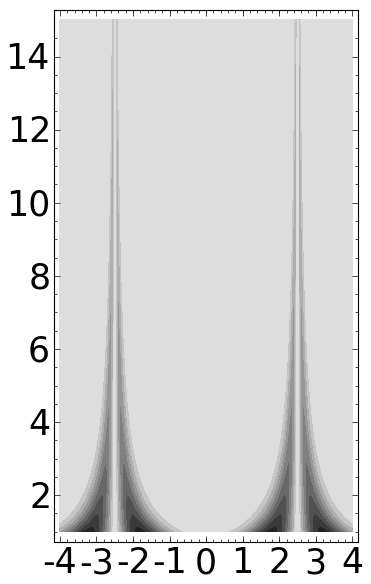 The plots were done with the following sagemath codes. I did not spend time in writing elegant code.